Lone Wolf Distributors edges its way into new Cerakote territory, announcing the release of the new Battlecam Cerakote finish option. 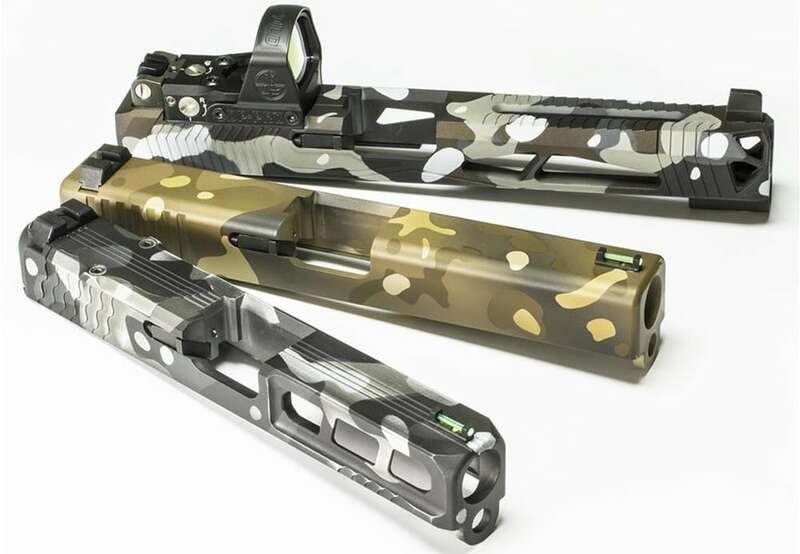 With the ability to further customize consumers’ handguns, the Battlecam finish offers a camouflage pattern in three styles — Battlecam Black, Battlecam Urban and Battlecam Desert. Aside from colorful names, each pattern brings a distinct style to the table. Battlecam Black delivers a low-profile design, boasting black and grey hues. Lone Wolf says the patterning is reminiscent of a “dystopian science fiction film” with its its understated style. Battlecam Urban mixes earthy colors into its tones of black and gray for a camo pattern that works in multiple environments. Battlecam Desert boasts earthy tones as well but in a more traditional sense, with the pattern offering a more modern desert camo tone. 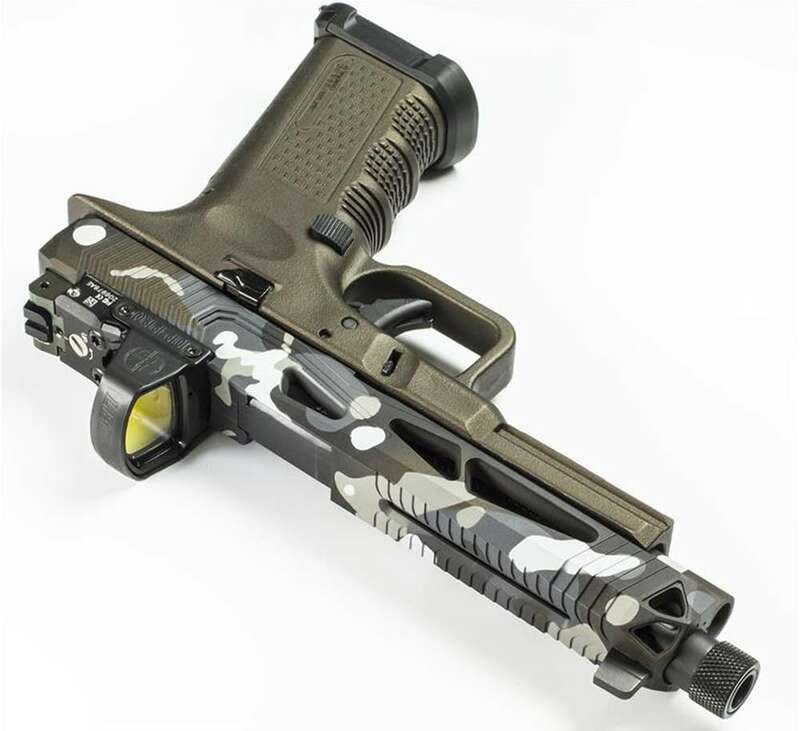 “With Lone Wolf’s new Battlecam cerakote you can make you pistol stand out…by making it blend in,” the company said in a news release. The Battlecam finishes can be tossed to a slide, stripped frame or a complete pistol. Bare frames begin at $149, while a complete pistol Cerakote job will set consumers back $274.